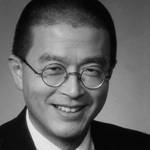 Until April 2010 Edwin Keh was the Chief Operating Officer and Senior Vice President of Wal-Mart Global Procurement. Prior to Wal-Mart Edwin managed a consulting group that has done work on supply chain, manufacturing, and product design. The practice also did work for NGOs in Burma, N Thailand, the Philippines, Laos and China. He worked with schools, orphanages, tribal peoples, and people afflicted by leprosy. Edwin had a career as senior executive with several US consumer goods and retail companies. He was the Managing Director of Payless Shoesource International, Donna Karan International, and Country Road Australia. He did the start up sourcing for Abercrombie & Fitch and Structure stores. Prior to graduate school, Edwin worked for the United Nations High Commission for Refugees as an editor and resettlement lobbyist. Edwin graduated from Whittier College with a BA in Political Science, Sociology, and Urban Design. Since Whittier Edwin has done graduate work at Claremont College’s Drucker School. He is also working with Yale and Harvard on a new initiative on governance and capacity building in Africa. He serves as Trustee on the board of Whittier College, California. He is on the Board of FACE, a shoe industry charity, and Handa, an NGO that serves the needs of people afflicted with leprosy in China. He advises several social enterprises. Edwin lives in Hong Kong with his wife Claudia who teaches at the HK University of Science & Technology. They have 3 sons.